Perry Comments: Dust jacket don’t know when to quit! Yes, a fine example of why you should probably not let the author do their own covers. I bet Vivaldi imagined all the creepy guys too. What about the Giver of Never? Would it be a potential sequel? I like the tree-thing with the sharp teeth ready to eat the title as if it was made of white chocolate, for instance. Smashing! Book cover? Or the results of teenage boredom on your folder in English class? Does he not realise he’s throwing hundreds of gifted and desperate blurb-writers out of work with his high-handed, autocratic actions? On behalf of the Amalgamated Union of Blurbers, Puffers and Textual Rodomondatists I’m calling for a boycott of this author and we will be balloting out members over industrial action and a picket of Anne McCaffrey’s place of work. Elderly lady stoner on the right has just about given up on this cover. Harper: Dude, this cover is way overdetermined. Collins: Never let the author have a say on the cover. Never. That elf-guy, in fall, who’s exiting through a dimensional crack . . . might he have come from our world? Not originally, of course, but there has to be a reason for that shirt. Do you think he was going for some kind of pun by having not one, not two, but tree faces over there on the left? @DSWBT: What are you on about, exactly? Do you by any chance have a white long-sleeved shirt with a large blue “H” on the front? I’m not going to say anything mean about this cover. 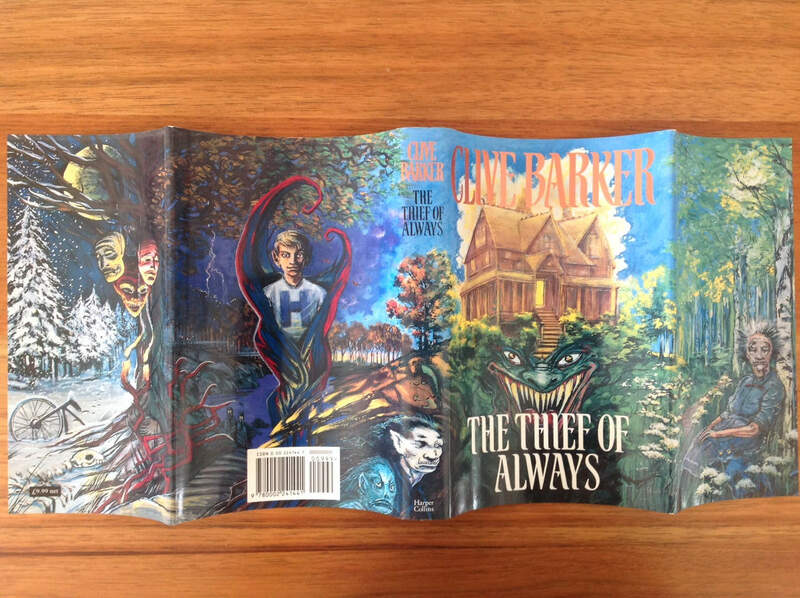 Clive Barker can paint, and made a good cover with complete artistic control. The man framed with tentacles is from Harvard, of course. Thus the giant H on his shirt.